Grillin’ tips: 3 fresh ideas to top off your hot dogs. Handsome Hubby and I love to cook, and we love having friends over for dinner. Sometimes it is a complicated menu, but there are plenty of times when we just want to have a good old fashioned BBQ and grill some burgers and hot dogs. 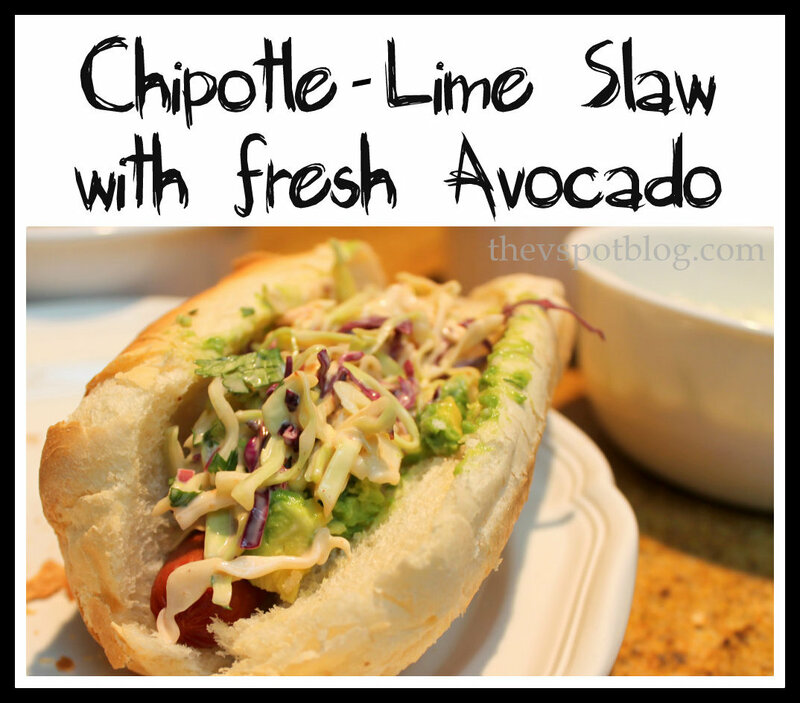 The creaminess of the diced avocado balances the spicy kick of the coleslaw. In a non-reactive bowl mix the mayo, honey, lime juice and chopped peppers add the cabbages and onion, toss to coat. Garnish with cilantro. Spoon over the hot dog and fresh avocado. Mix all ingredients but the cabbage in a non-reactive bowl. Add the cabbage and toss to coat. Garnish with a little fresh parsley or cilantro. Good food, good friends… there’s not much more you need, right? Oh! Well, what about a weekly chance to win a $100 gift card to the grocery store? Or what about a chance to win a trip to New York City to take in a baseball game? Sounds great, right? um . . . bacon on a kosher hot dog? Yep! Bacon! I’m not Jewish, but I appreciate the premium ingredients that go into the hot dogs. If you need to keep kosher, omit the bacon. Simple. Wow – these look so good- all of them!! We love to do the simple bbq thing too, especially during the summer. I can’t wait to try these out! These, especially the last two, look amazing. 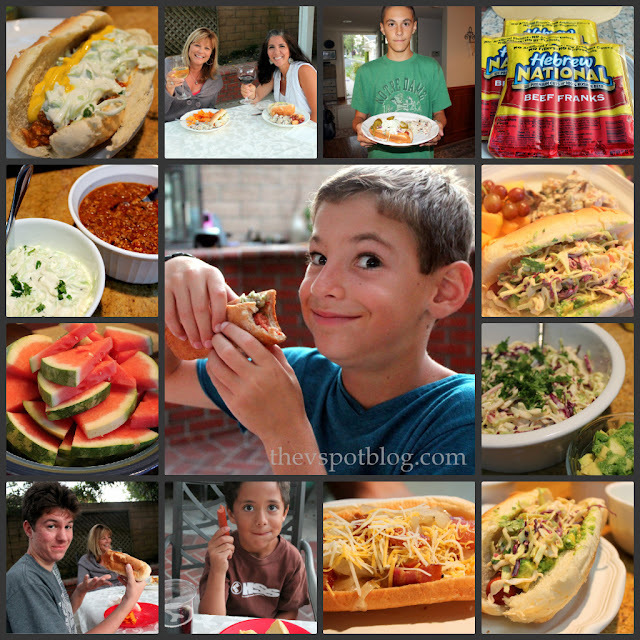 We don’t eat that brand because we only eat humane hotdogs and often vegan ones, but still, I LOVE hotdogs – mainly because I love all the toppings! Yum! 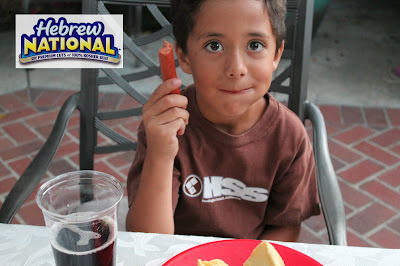 My kiddos love Hebrew National hot dogs too. I need to come back and make some of the chipotle lime-slaw you have posted. It looks so yummy Viv. How delicious! Hard to pick which one I would try first but the avocado is making me lean toward the Chipotle-Lime slaw. What yummy recipes!! These hot dog toppings look SO good! Me & hubby love hot dogs and with the addition of these “fixin’s” we’d be in heaven! 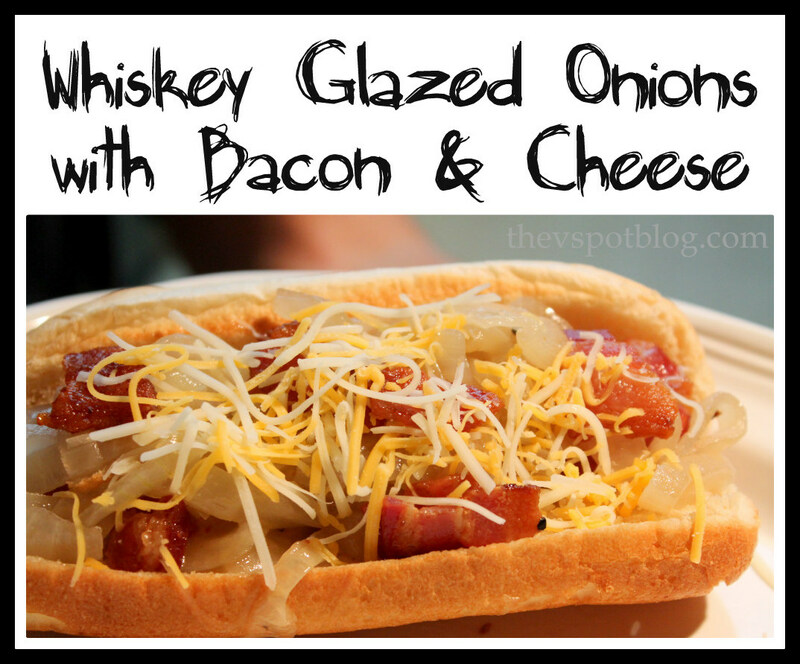 I think the one that sounds best is the Whiskey Glazed Onions with Bacon & Cheese! I know hubby would like that one, but I love avocado, so I’d like to try the Chipotle-Lime Slaw also! lol at the bacon. and yum! These look so yummy! Now I’m craving one. 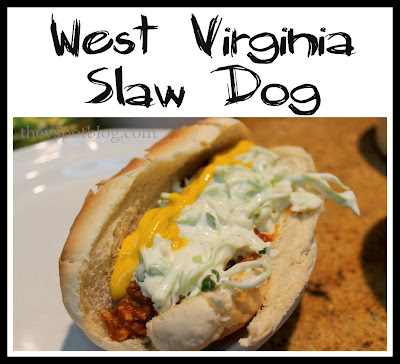 I am not a huge coleslaw fan but I think I could do these. I love me a good chill cheese dog. And sadly though I am from Chicago I am not a huge Chicago dog fan- in fact I commit the cardinal sin in chicago and put ketchup on my dogs. Oh how I love coleslaw. I have NEVER thought to put it on a hot dog! Will definitely try that next time. Honey, we’re having hot dogs for dinner tomorrow. Tasty! These are all so yummy looking! Oh wow! These all look so good! I love your california take the lime slaw & avocado! And I’m not jewish either and am all for slathering my kosher dog with bacon! Bring it Viv! love it! My hubby would like one of each 😉 So you deliver? Thanks for the great ideas, will forward to my sister too, she is all about trying new things!